WordPress FAQ - Over 60 Beginner WordPress Questions Answered! 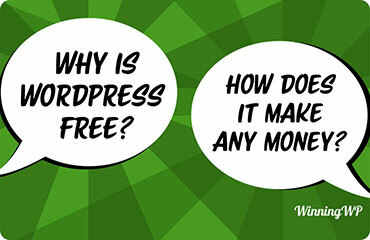 Over Sixty Frequently Asked Beginner-Level Questions About WordPress - Answered! Do you have a bunch of questions about WordPress rattling around in your brain? Well, save yourself from all that googling, because we've collected the most commonly asked WordPress questions all in one spot! "WordPress now powers over 30% of the top 10million websites!" On this page, you'll find answers to more than 60 frequently asked WordPress questions — as well as links to more detailed information should you want to learn even more. WordPress is a free, open-source content management system — which is a complex way of saying WordPress helps you to build and manage a website without needing to know how to code. If you want more, we wrote a whole page on what WordPress is. Q. How Long Has WordPress Been Around, and When Was It Released? Though it's changed quite a bit since its initial release, WordPress has been around since May 27, 2003 — making it one of the oldest content management systems in existence. Q. What's the Difference Between WordPress.org and WordPress.com? WordPress.org is the free open-source WordPress software, while WordPress.com is a service built on the WordPress.org software. You can read more about the differences here, or watch a video. Q. How Popular Is WordPress? WordPress is the most popular way to build a website. It powers more than 30.8% of all the websites, and holds a 59.9% market share in the content management system market (source). Q. Do Big Brands Use WordPress? Yes! WordPress powers 24% of the world's 10,000 most popular websites (source). Here are some great examples of big brands using WordPress, as well as a look at the celebrities who use WordPress to power their websites. Q. Is WordPress Just for Blogs? No! While WordPress was initially built for blogs back in 2003, WordPress is now built to help you to create any type of website. Q. Can I Use WordPress to Create an eCommerce Shop? Yes! Not only is it possible, WordPress is actually the most popular way to build an eCommerce shop. According to BuiltWith, 42% of eCommerce stores use WordPress with a plugin called WooCommerce (source). You can see some examples of WordPress eCommerce sites here. Q. How Can I Tell Whether a Website Is Using WordPress? There are beginner-friendly tools that can tell you whether a site is using WordPress — all you need to do is enter the URL of the website you want to check. IsItWP is a good option, but we also have a post that shows some other ways to tell if a site is using WordPress. Q. Do I Need to Be a Programmer to Use Self-Hosted WordPress? No! WordPress is popular in large part because it's accessible to anyone — even people who don't know anything about code. 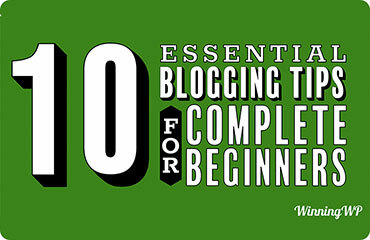 Plus, because WordPress is so popular, you can find lots of great resources (like this one!) if you run into any issues. Q. Do I Need My Own Web Hosting to Use WordPress? Yes — if you use the WordPress software (WordPress.org), you'll need to purchase your own web hosting to run it (this is why WordPress.org is often called 'self-hosted'). If you use WordPress.com, however, all of this is taken care of for you. The trade off is you get a lot less control over your site, and your domain will include 'WordPress.com' by default -- we've put together a detailed post on the differences. Q. How Much Does Hosting for WordPress Cost? This varies a lot: Decent budget WordPress hosting costs about $60 per year, but if you're running an important high-traffic site you'll probably need something more expensive. Q. What's the Best Hosting to Use for WordPress? 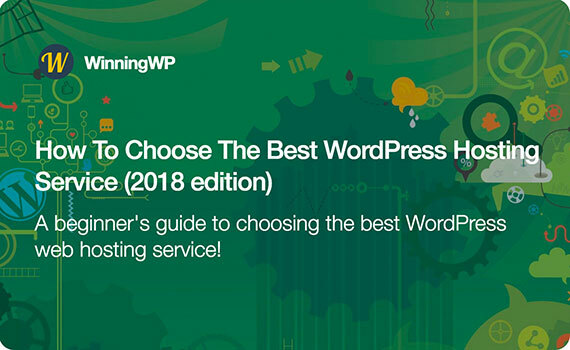 This question is too complicated to answer in a short FAQ, which is why we've written an entire guide on how to choose the best WordPress hosting. Q. What Is Managed WordPress Hosting? Managed WordPress hosting is a concierge service that handles many important WordPress maintenance and optimization tasks for you. For example, managed WordPress hosts will often keep your software up to date automatically. Read this post for more on its features, and whether it's worth the extra cost. Q. What Is a Domain Name (and Do I Need One for WordPress)? A domain name is your website's address on the internet — for example, our domain name is 'winningwp.com'. If you want to use self-hosted WordPress, you'll need your own domain name — check out this post for more in-depth information on what they are and why they matter. Q. Which Domain Name Extension Should I Choose for My Site? Your domain extension is the part that comes after the dot. For example, ours is 'com'. For the most part, you can pick pretty much any domain extension, but '.com' is the most recognizable, so it's usually the best option when available. 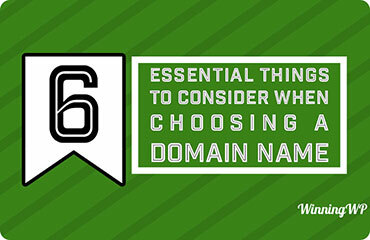 Learn more about choosing a good domain name. Q. How Much Do Domain Names Cost? The exact price depends on the domain extension you choose. Generally, a '.com' domain will cost around $10, but you'll find other extensions can be both cheaper or more expensive. Q. Which Domain Registrar Should I Use? We recommend Namecheap or GoDaddy as good options for most people. You can read more about our reasoning here. Q. Can I Use My Domain Name With Any Hosting? Yes! You'll just need to change some configuration settings at the place where you registered your domain name to point it to your chosen host — talk to your domain registrar's support if you need help. More on this here. Q. How Much Does It Cost to Create a WordPress Site (in Total)? On the absolute low end, you could technically create a WordPress site for as little as ~$70 per year for your hosting ($60) and domain name ($10), and for a basic blog that may be all you need to pay. Q. How Long Does It Take to Create a WordPress Site? 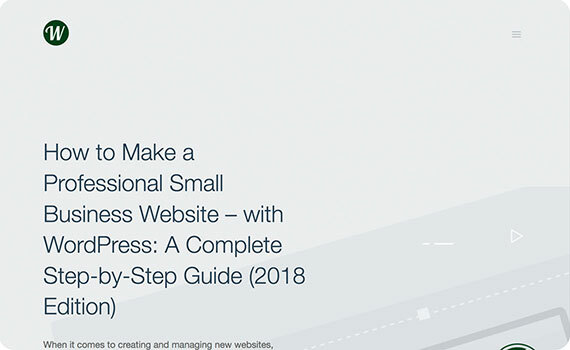 As a rough estimate, you can generally expect to be up and running with a barebones WordPress site in under about an hour, but most people will usually then spend a lot more time tinkering to get everything to look perfect. Q. How Can I Install WordPress and Start Using It? Nowadays, many WordPress hosts will preinstall WordPress for you. However, if you need to install WordPress yourself for any reason, we've written a detailed guide on the process. Q. What Is a WordPress Theme? A WordPress theme controls how your site looks — and with tens of thousands of available themes, you should be able to find a style you like! This post has a deeper explanation of WordPress themes. Q. What's the Best Way to Choose a WordPress Theme? There are a lot of subjective and objective tests you can apply to make sure you choose the right theme for your site — read more about them here. Q. How Can I Install a WordPress Theme? To install a theme, go to Appearance → Themes → Add New in your WordPress dashboard. You can find more detailed instructions here. Q. What Is a WordPress Plugin? A WordPress plugin adds functionality to your site. This could be functionality for your visitors (such as a contact form), functionality to help you to administer your site (such as easy backups), or just behind-the-scenes changes that offer improvements (such as making your site load faster). Learn more about plugins here. Q. What's the Best Way to Choose a WordPress Plugin? Beyond just plain picking plugins that offer the functionality you need, there are some other things to consider when choosing a WordPress plugin. Q. How Can I Install a WordPress Plugin? To install a WordPress plugin, go to Plugins → Add New in your WordPress dashboard. You can find more detailed instructions here. Q. How Do I Log in to WordPress? Once you install WordPress, you can log in to your site by appending '/login' to the end of your domain name. For example, 'winningwp.com/login'. You'll then need to enter your username and password, which you created when you installed WordPress. This video shows the process in detail. Q. How Can I Update WordPress, and Also Themes and Plugins? To update the core WordPress software, WordPress themes and WordPress plugins, you can go to Dashboard → Updates in your WordPress dashboard. You can also update plugins and themes from the Plugins and Appearance → Themes areas in your dashboard. Learn more about updating WordPress (and why it's important). Q. Where Can I Find High-Quality Free WordPress Themes or Plugins? The WordPress.org theme and plugin directories are the best places to find free themes or plugins. The WordPress.org team monitor the quality and require developers to pass certain checks to list their theme or plugin at WordPress.org. Q. Is There Any Benefit to Purchasing Premium Themes or Plugins? There's nothing wrong with free plugins and themes, but premium ones often have better features/designs, premium support, and better documentation/user guides. Q. Where Can I Find High-Quality Premium WordPress Themes or Plugins? 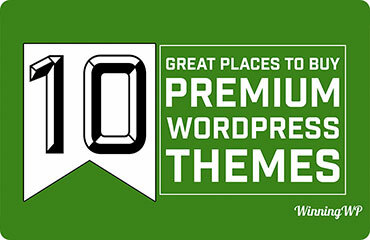 Envato's ThemeForest and CodeCanyon marketplaces are good spots for themes and plugins, respectively. There are also a large number of quality independent developers out there — we've collected some of the best WordPress theme shops, as well as a list of where to buy WordPress themes. Q. How Can I Create a New Post in WordPress? To create a new post, go to Posts → Add New in your WordPress dashboard. Check out this video to see the process in more detail. Q. How Can I Create a New Page in WordPress? To create a new page, go to Pages → Add New in your WordPress dashboard. Check out this video to see the process in more detail. Q. What Is the Difference Between Posts and Pages in WordPress? Posts are chronological — that is, they have an actual publish date and are listed from newest to oldest. They're what you use for blog posts. Pages, on the other hand, are more for static content, and don't have any public publish date. Use them for 'about' sections, 'contact' pages, and the like. This video has more information on the differences between the two. Q. What's the Difference Between Categories and Tags in WordPress? Categories and tags are two ways to organize your posts. Each post must have at least one category, while tags are optional. Additionally, categories are usually a bit broader, while tags are more specific. This video explains the differences in more detail. Q. How Can I Add Images, Audio or Videos to Posts or Pages? You can add all types of media content by clicking the Add Media button while creating a post or page. Here are more detailed guides for adding images and videos. Q. What Is a WordPress Widget? A widget helps you to add content to certain areas of your site without needing to know any code. The most common area is your theme's sidebar, but you can also use widgets in other ways. Learn more about WordPress widgets. Q. How Can I Add a WordPress Widget to My Sidebar? To add a widget to your sidebar, go to Appearance → Widgets in your WordPress dashboard, and drag the desired widget over to your sidebar. This post explains more about the process. Q. What Is the WordPress Customizer and How Does It Work? The WordPress Customizer is a relatively new addition that makes it easier to customize how your website looks and 'feels'. It gives you a live preview of your site, as well as easy options to change how things look. You can access it by going to Appearance → Customize. Learn more about how to use the WordPress Customizer. Q. Is There a Book I Can Read on WordPress? We've put together a list of great books you can read to learn more about WordPress. Q. How Do I Get My WordPress Site to Show up in Google's Search Results? You make your site visible in Google through something called search engine optimization (SEO). This is a big topic, but generally you'll want to install an SEO plugin, use internal links, and perform lots of other optimizations. Moz has a good beginner's guide to SEO. Q. 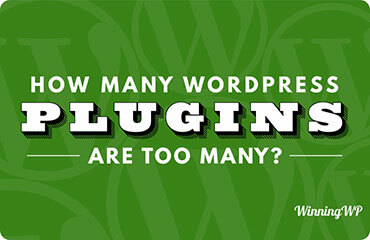 Is There a Limit to How Many WordPress Plugins I Can Use? No! There's no hard limit on how many plugins you can use on WordPress, and, while you should never install unnecessary plugins, there's nothing wrong with using a lot of high-quality plugins. This video explains why. Q. What Are WordPress Permalinks? Permalinks affect the structure of your site's URLs — for example, the bolded part of this URL is the permalink: winningwp.com/wordpress-faq. You can set your site's overall permalink structure by going to Settings → Permalinks. Learn more about permalinks. Q. What Is the Best WordPress Permalink Structure? For most sites, the Post name permalink structure is the best option. Q. How Can I Create My Own Email Address (Such as John@johndoe.com)? This isn't something WordPress does, but you can easily set it up via your web host — this guide shows you how. Q. What Is a 404 Error? A 404 error is what someone sees when they attempt to visit a page that doesn't actually exist on your website. As a result, your site displays its 404 page. Check out some good examples of 404 pages. Q. How can I add a contact form to my WordPress site? To add a contact form to WordPress, you'll need a WordPress plugin. We have posts on the best contact form plugins, as well as a tutorial on how to use the free WPForms plugin. Q. How Can I Install Google Analytics in WordPress? Google Analytics helps you to monitor your website and traffic. The easiest way to install it on WordPress is to use a free plugin such as Analytics Cat, but there are also other methods. Q. How Can I Reduce Spam Comments on My WordPress Site? There are several quality plugins that can help to reduce spam, the most popular being the free Akismet plugin. Q. How Do I Change or Reset My WordPress Admin Password? Go to Users → Your Profile in your WordPress dashboard, and you can change your password in the Account Management area at the bottom of the page. You can also reset your password by clicking the Lost your password? link on the WordPress login page, or check out this video for some more ways to reset your admin password. Q. How Can I Stay up to Date With Changes to WordPress? We've put together some resources on the best places to stay up to date with WordPress news. Q. How do I change the font, font size, and/or font color on my WordPress site? Your theme should give you a way to control various aspects of typography on your site, or you can use your own CSS for even more control. This post explains both methods. Why Is It Important to Back up WordPress? Backing up your WordPress site ensures that, no matter what happens, you will always have a working copy to restore. If you're serious about your site, it's essential that you back it up. How Can I Back up My WordPress Site? Some hosts will help you to automatically back up your site, but if yours doesn't offer that service, you can also find plugins to do it for you. UpdraftPlus is a good free option, and VaultPress is the simplest method, though it's a paid service. See our tutorial on how to use VaultPress. A child theme helps you to safely make changes to your chosen WordPress theme (the parent theme in this case). If you're a casual user, you won't need to worry about it, but if you plan to make any direct changes to your theme's code you'll need to use a child theme. This post shows you how. The wp-config.php file is a core configuration file that controls a number of important aspects of your site. You should be very careful about editing the wp-config.php file — although there may be times when it's necessary. Learn more about wp-config.php. How Can I Make My WordPress Site Load Faster? There are a lot of big and small steps you can take to make your site load faster — so we've written an entire guide on how to speed up WordPress. How Can I Make Sure My WordPress Site Is Secure? We've written a post on how to secure WordPress, but you can also find great security plugins to help you. What Are WordPress User Roles and Why Do They Matter? WordPress user roles help you to control what access other users have to your site. If you're not planning to give anyone else an account, then you don't really need to worry about them. However, if you are going to create accounts for other people, you should absolutely learn more about WordPress user roles. What Are Some Other Great Resources to Keep Learning About WordPress? We've collected what we believe to be all of the best WordPress resources right here (note: also scroll down for even MORE great content!). 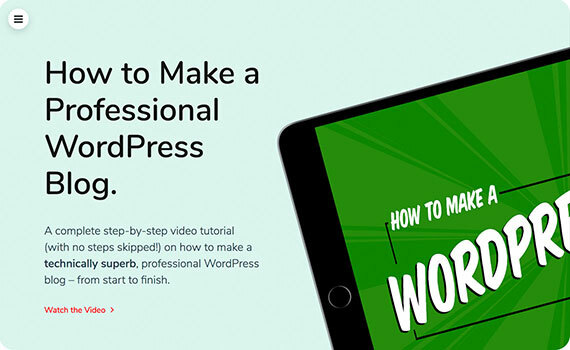 on how to make a professional WordPress blog – from scratch. All of these components are made in the same style, and can easily be inegrated into projects, allowing you to create hundreds of solutions for your future projects. Startup is a powerful tool for quick and convenient prototyping of your projects. It will fit most projects because it contains up-to-date and modern web elements. 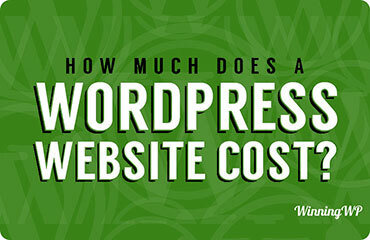 How Much Does A WordPress Website - Really - Cost?